The military has become a force unto itself, increasingly unaccountable to either the president or Congress. Three areas highlight the post-democratic transformation of this military with striking clarity: the blending of military professionals with privatized mercenaries in prosecuting unending “limited” wars; the way senior military commanders are cashing in on retirement; and finally the emergence of US Special Operations Command (SOCOM) as a quasi-missionary imperial force with a presence in at least 135 countries a year (and counting). [V]irtually all studies of the all-volunteer army have indicated that it is likely to be less representative of and responsive to popular opinion, more expensive, more jealous of its own prerogatives, more xenophobic—in other words, more likely to repeat some of the most grievous mistakes of Vietnam.… Perhaps the most worrisome feature of the all-volunteer army is that it encourages soldiers to insulate themselves from civilian society and allows them to cling tenaciously to outmoded visions of the profession of arms. It certainly puts an increased burden of responsibility on civilian officials to impose restraints on military operations, restraints which the soldiers will surely perceive as unjustified. Ellis wrote this more than 30 years ago—before Desert Storm, the invasions of Afghanistan and Iraq, or the launching of the “War on Terror.” These wars (and other US military interventions of the last decades) have provided vivid evidence that civilian officials have felt emboldened in wielding a military freed from the constraints of the old citizen army. Indeed, it says something of our 21st-century moment that military officers have from time to time felt the need to restrain civilian officials rather than vice versa. Consider, for instance, Army Chief of Staff Gen. Eric Shinseki’s warning early in 2003 that a post-invasion Iraq would need to be occupied by “several hundred thousand” troops. Shinseki clearly hoped that his (all-too-realistic) estimate would tamp down the heady optimism of top Bush administration officials that any such war would be a “cakewalk,” that the Iraqis would strew “bouquets” of flowers in the path of the invaders, and that the US would be able to garrison an American-style Iraq in the fashion of South Korea until hell froze over. Prophetic Shinseki was, but not successful. His advice was dismissed out of hand, as was he. In the purer ages of the commonwealth [of Rome], the use of arms was reserved for those ranks of citizens who had a country to love, a property to defend, and some share in enacting those laws, which it was their interest, as well as duty, to maintain. But in proportion as the public freedom was lost in extent of conquest, war was gradually improved into an art, and degraded into a trade. As the United States has become more authoritarian and more expansive, its military has come to serve the needs of others, among them elites driven by dreams of profit and power. Some will argue that this is nothing new. I’ve read my Smedley Butler and I’m well aware that historically the US military was often used in un-democratic ways to protect and advance various business interests. In Gen. Butler’s day, however, that military was a small quasi-professional force with a limited reach. Today’s version is enormous, garrisoning roughly 800 foreign bases across the globe, capable of sending its Hellfire missile-armed drones on killing missions into country after country across the Greater Middle East and Africa, and possessing a vision of what it likes to call “full-spectrum dominance” meant to facilitate “global reach, global power.” In sum, the US military is far more powerful, far less accountable—and far more dangerous. As a post-democratic military has arisen in this country, so have a set of “warrior corporations”—that is, private, for-profit mercenary outfits that now regularly accompany American forces in essentially equal numbers into any war zone. In the invasion and occupation of Iraq, Blackwater was the most notorious of these, but other mercenary outfits like Triple Canopy and DynCorp were also deeply involved. This rise of privatized militaries and mercenaries naturally contributes to actions that are inherently un-democratic and divorced from the will and wishes of the people. It is also inherently a less accountable form of war, since no one even bothers to count the for-profit dead, nor do their bodies come home in flag-draped coffins for solemn burial in military cemeteries; and Americans don’t approach such mercenaries to thank them for their service. All of which allows for the further development of a significantly under-the-radar form of war making. The phrase “limited war,” applied to European conflicts from the close of the Thirty Years’ War in 1648 to the French Revolution in 1789, and later to conventional wars in the nuclear age, has fresh meaning in 21st-century America. These days, the limits of limited war, such as they are, fall less on the warriors and more on the American people who are increasingly cut out of the process. They are, for instance, purposely never mobilized for battle, but encouraged to act as though they were living in a war-less land. American war efforts, which invariably take place in distant lands, are not supposed to interfere with business as usual in the “homeland,” which, of course, means consumerism and consumption. You will find no rationing in today’s America, nor calls for common sacrifice of any sort. If anything, wars have simply become another consumable item on the American menu. They consume fuel and resources, money, and intellect, all in staggering amounts. In a sense, they are themselves a for-profit consumable, often with tie-ins to video games, movies, and other forms of entertainment. There was a time when old soldiers like Douglas MacArthur talked wistfully about fading away in retirement. Not so for today’s senior military officers. Like so many politicians, they regularly go in search of the millionaires’ club on leaving public service, even as they accept six-figure pensions and other retirement benefits from the government. In the post-military years, being John Q. Public isn’t enough. One must be Gen. Johannes Q. Publicus (ret. ), a future financial wizard, powerful CEO, or educator supreme. Heck, maybe all three. For today’s crop of retiree generals, no Cincinnatus need apply. 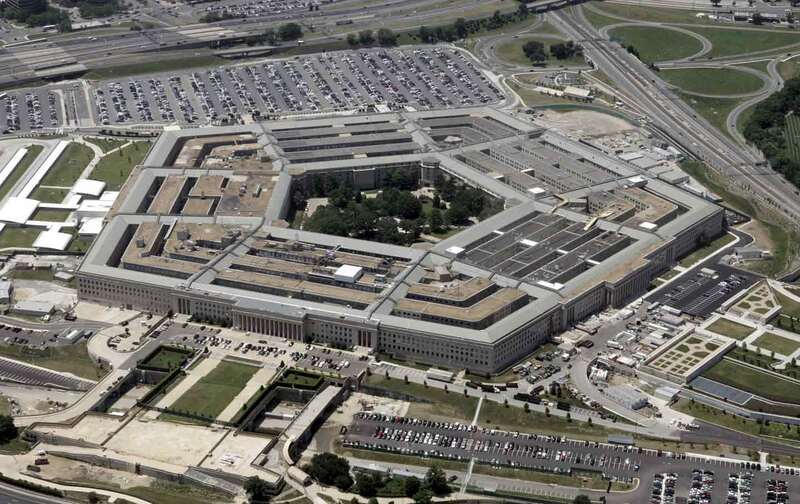 Of course, there’s long been a revolving door between Pentagon offices and corporate boardrooms, but that door seems to be spinning ever faster in the 21st century. The peril of all this should be obvious: The prospect of cashing-in big-time upon retirement can’t help but affect the judgment of generals while they’re still wearing the uniform. When you reach high rank, it’s already one big boys’ club where everyone knows everyone else’s reputation. Get one for being an outspoken critic of a contractor’s performance, or someone who refuses to play ball or think by the usual rules of Washington, and chances are you’re not going to be hired to lucrative positions on various corporate boards in retirement. For Petraeus is not the only retired general to lecture at such places. Gen. Stanley McChrystal, who infamously was fired by President Obama for allowing a command climate that was disrespectful to the nation’s civilian chain of command, is now a senior fellow at the Jackson Institute at Yale University. Adm. William McRaven, former head of US Special Operations Command during the era of black sites and deaths by torture, is now the chancellor of the entire University of Texas system. McRaven had no prior background in education, just as Odierno had no background in finance before being hired to a top-tier position of authority. Both of them were, however, the military version of “company men” who, on retirement, possessed a wealth of contacts, which helped make them highly marketable commodities. As Nick Turse has documented at TomDispatch, post-9/11 America has seen the rapid growth of US Special Operations Command, or SOCOM, a secretive military within the military that now numbers almost 70,000 operatives. The scholar and former CIA consultant Chalmers Johnson used to refer to that Agency as the president’s private army. Now, the commander-in-chief quite literally has such an army (as, in a sense, he also now has a private robotic air force of drone assassins dispatchable more or less anywhere). The expansion of SOCOM from a modest number of elite military units (like the Green Berets or SEAL Team 6) into a force larger than significant numbers of national armies is an underreported and under-considered development of our post-democratic military moment. It has now become the regular go-to force in the war on terror from Iraq to Afghanistan,Syria to Cameroon, Libya to Somalia.